The following items are opportunities to volunteer your time, resources, or services to help your neighbors and your community. The Volunteer Learning Program (VLP), established in 1975, is a tutoring program designed to meet the educational needs of Fairfax County adults by supporting the Fairfax County Public Schools (FCPS)'s adult high school completion programs and the educational needs of certain juveniles without a high school diploma. The American Red Cross is recruiting volunteers to serve local needs. 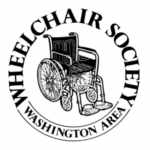 Use their volunteer matching tool see the wide range of opportunities available in Arlington and the surrounding DC Metropolitan Area while also filtering your search based on availablility. Nonprofit and county partners regularly post opportunities on this calendar, so it is worth checking on a regular basis. Or browse their list of nonprofit and county partners for opportunities in your area of interest. The Arthritis Foundation has several opportunities for volunteers to participate in health fairs, special events, speaking engagements, and office assistants in the Washington DC metropolitan area. To find a volunteer opportunity that's right for you, use the VolunteerMatch to locate local opportunities in your community. Respite care resources for families of children with disabilities in the Washington, DC metropolitan area (District of Columbia, Maryland, and Virginia). Has respite care training for teens and adults. Hands on DC is the leading and largest coordinator of volunteerism in the region. If you are looking for volunteer opportunities in a variety of ways, see Get Involved. Hands on DC offers all kinds of volunteer opportunities. ProLiteracy champions the power of literacy to improve the lives of adults and their families, communities, and societies. The ProLiteracy Education Network (EdNet) provides free instructional resources to adult literacy and ESOL instructors, learners, and program staff. NAVA is a professional nonprofit membership organization for people committed to the effective involvement of volunteers in community programs and services. The QEM Network is a nonprofit organization based in Washington, D.C. dedicated to improving the education of African Americans, Alaska Natives, American Indians, Mexican Americans, and Puerto Ricans. Student Stream Teams is a National Parks Lab partnership between the Potomac area national parks and schools. Join Stream Teams, adopt a stream in Prince George's County, and make a difference! Call 301-883-5822. Find volunteer opportunities in the Washington, DC metropolitan area. The Arlington County Volunteer Office lists the following categories: Appliances, Bicycles, Books, Cars, Cellular Phones, Clothing, Computers, Food, Furniture/Office Equipment, Medical Supplies, Miscellaneous, and Toys. The Arthritis Foundation is looking for office equipment such as laptop computer, PowerPoint® projector, camera, office chairs and bookshelves, scanner, desk (L-shaped), desktop printer, portable tabletop display, large-screen computer monitors, ergonomically designed computer accessories such as keyboard cradles, etc. Contact the Metro Chapter Office at 202-537-6800. Donations online and other areas of help. If you are a Medical professional and willing to help please contact your local American Red Cross office. The American Red Cross is encouraging people nationwide to donate blood, and to keep blood donation appointments if they already have them. "We will need to replenish our supply in the coming weeks," says Red Cross spokeswoman Dawn Marks. "No matter where you are in the country, you can help by donating." The toll-free number to call is 1-800-GIVE LIFE. Cooperation, communication, coordination, collaboration in disaster response. Emergency resources. FEMA does not accept donations, but works closely with volunteer agencies that provide a wide variety of services after emergencies, including childcare, crisis counseling, sheltering and food.